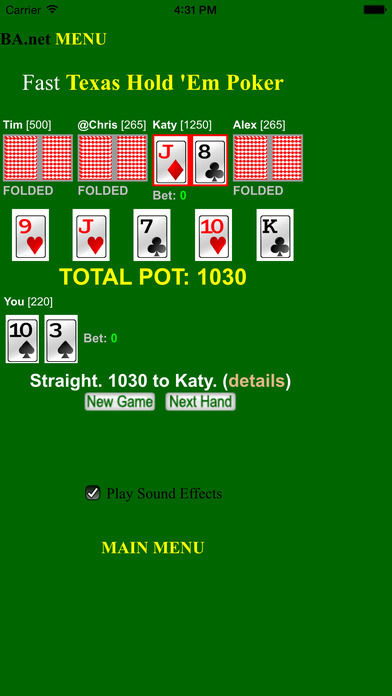 Free Texas Hold 'Em Poker with four smart computer opponents. Learn poker, or sharpen your skills with this fun app. Beautifully simple, fast playing, small app footprint at 7 MB. No registration. No login required! No extra cost IAP. 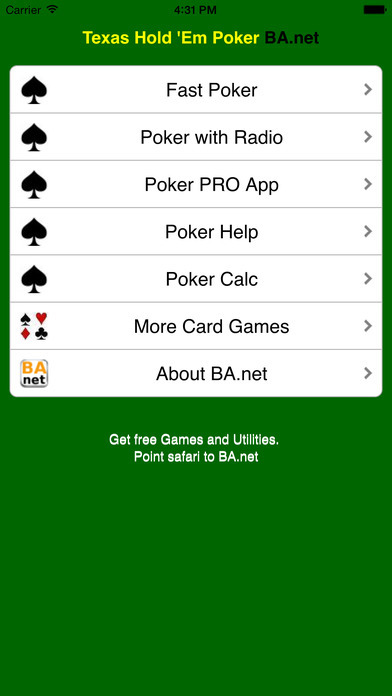 This app will provide you with many hours of fun Texas Hold Em Poker! Over 3 million users downloaded this app. Featured on Apple chart most popular Apps. AppBrain recommends it as great fun! - NOTE that player's bets are split when one or more players are "all-in". - One player acts as dealer. This position is called the button and it rotates clockwise after every hand. - The two players to the left of the dealer are the small blind and the big blind, respectively. They are the only players who have money in play before the cards are dealt. - Every player receives two cards face down. These are hole cards. - The first betting round begins with the player sitting immediately to the left of the big blind, and continues clockwise. - When the first betting round is completed, three community cards are flipped face up on the table. This is called the flop. - The second round of betting begins with the first remaining player seated to the left of the button. The betting resumes, clockwise. - When the second round of betting is finished, a fourth community card is flipped face up on the table. This is called the turn. - The third round of betting begins with the first remaining player sitting to the left of the button. The betting moves clockwise, with the bets doubling on the turn. - When the third round of betting is over, a fifth community card is flipped face up on the table. This is called the river. - The fourth round of betting starts with the first remaining player seated to the left of the button. The betting continues to move clockwise. The App is free! Please rate and comment to help promotion and further development. 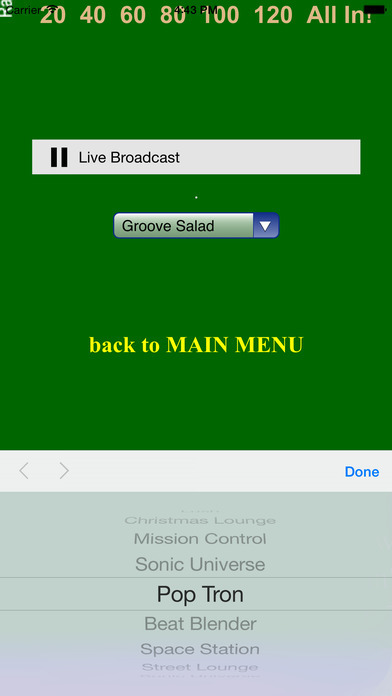 Added off-line play, sound effects! Bug fixes, and new features on pro version. Minor bug fixes. Added link to PRO version without advertising. Blinds bugfix. Ads non-blocking bugfix. 6 of hearts bug fix. Updated card graphics. Minor bug fixes. Long awaited card graphics are done! Also minor tweaks to the robot opponents. Have fun. Easy to play although I wish when closing the app, one didn't lose that game and have to restart. Great set up but you can't return to or save a game.